For weeks, I’ve been threatening to never leave Canada. The mountains! The space! The people! The wildlife! This was my first trip to Canada and everything exceeded all expectations. Alas, all good things must come to an end. My crossing from Kingsgate, British Columbia into Eastport, Idaho went as smoothly as possible, with only a few questions, no search, no paperwork needed for the dogs and no hassle. Victory! It’s nice to be home. Enter: Sumas, Washington/ Abbotsford, BC. Towns: Squamish, Whistler, Williams Lake, Quesnel, Prince George, Vanderhoof, Smithers, Prince Rupert, Hyder, Alaska!, Watson Lake, Yukon. Fort Nelson, Dawson Creek, Tumbler Ridge, Jasper, Banff, Calgary, Field. National Parks: Jasper, Banff and Yoho. Exit: Kingsgate, BC/ Eastport, Idaho. Gas: $797. 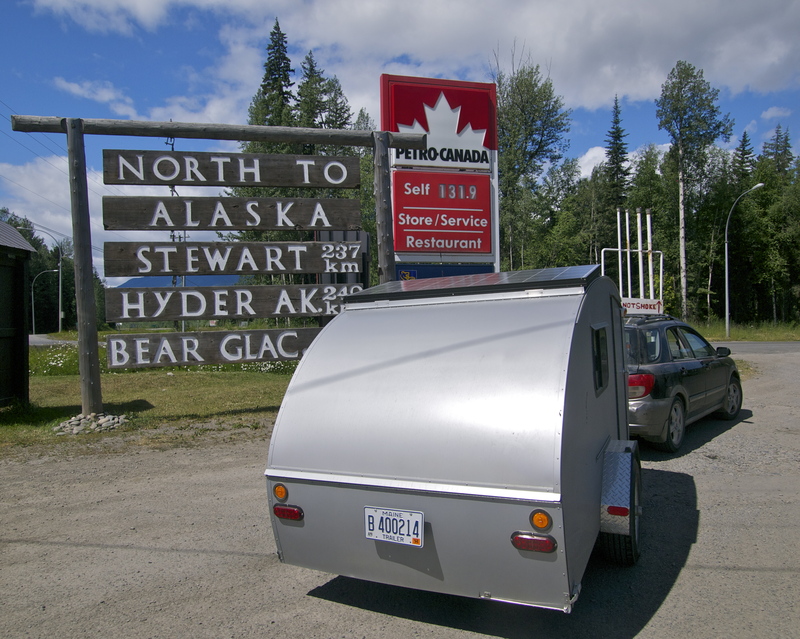 Highest price paid: $1.81/ liter or $6.87/ gallon on the Alaskan Highway. Free camp sites: 21 free nights! 97% of Canada is Crown Land- free for camping. Paid camp sites: 3 nights ($81). Canadian National Parks are not cheap. Camping in Banff was $36 a night! A new record. Food: $287. Restaurant meals: 4. That’s right. I only ate restaurant meals once a week! The rest were all grocery story meals cooked in the Teardrop. Average gas price in Canada: $1.31 a liter or about $5 a gallon. For more tips on cheap road tripping and free camping check out my previous posts: How To Plan A Killer Road Trip:$$$ and Boondocking 101: How To Camp For Free In Beautiful Places. 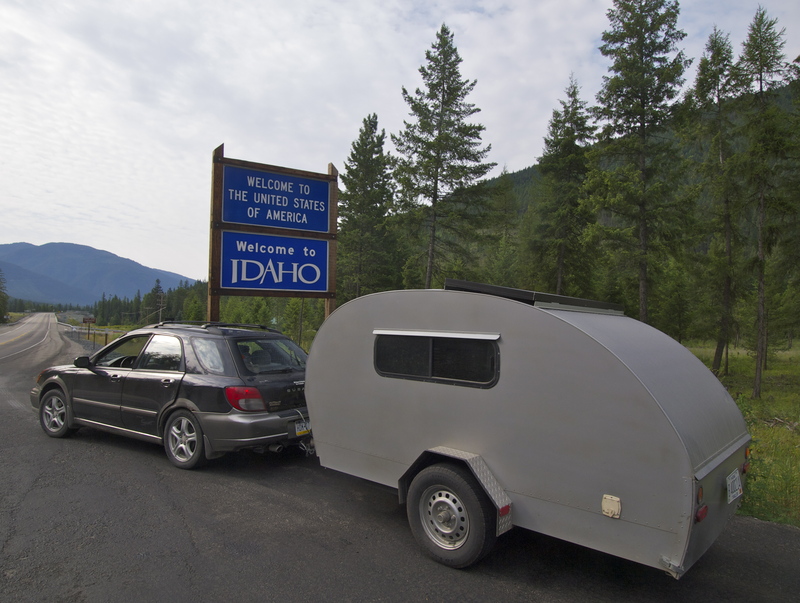 This entry was posted in Beyond the USA, Bowie & D.O.G., Photography, Road tripping!, Sustainable Living, Vagabonding 101. Bookmark the permalink. so cool. 97% free camping is pretty amazing. Yep! The US doesn’t have quite that much overall, but there’s still a ton of National Forest and BLM land out there! Thank you for breaking down the prices on some of your posts. They help people like me who WILL travel one day and it helps confirm that I will be able to do so. Great post! Thanks for the detailed expense breakdown. You’ve very welcome. I was curious myself! Wow–makes this armchair hobo think travel might be possible. Awesome Alice! That’s why I wrote this post. Travel isn’t a luxury. Exploration is essential for health and happiness! What a great joy it was to read Your magnificent” accounting”. I do love it. We are doing the same when on car travel. Haha my accounting is far from magnificent, trust me. The only thing I hate more than numbers is money. A daily journal helps with mileage and cash purchases, and bank statements take care of the rest. 🙂 Keeping track does help you cut down for the next trip. Once I saw how much money I was spending on eating out and staying at real campgrounds, it was a huge motivator to get into more dirtbag gourmet and boondocking! Thank You replying to my comment. In addition to You exact diary we add how the weather was with temperature, sunshine / rain and about what we loved and did not love. Those last things are important to when planning next travel. Canada seems to be very beautiful. Maybe You would like to check our car holiday Beyond the Arctic Circle in Finland. Here is the first post with links to next post. I’ve been curious as to what sort of gas mileage you get pulling the teardrop, and by my calculation, given your numbers above, it’s about 26 mpg, which is pretty amazing considering that you are pulling your house! Does that reflect what you’ve seen? Great blog and keep up the good work! Yep, I get about 25 mpg, as long as I keep it under 60 and don’t power up hills. Slow and steady makes a huge difference in gas efficiency! Do you have any data on what you get (or got) when not pulling the trailer? Just curious how big a difference the trailer makes. I never really kept track, but a few sources say a 2003 Impreza should get between 27 and 32 mpg. I haven’t noticed a huge reduction in gas mileage, probably because I take it so slow when I’m towing, usually around 55 max. Gotta love a Subaru! Still cheaper then here in South-Africa.